1305500644 -Prepare students to become successful employees and leaders with the realistic approach to communication found in BUSINESS COMMUNICATION: IN PERSON, IN PRINT, ONLINE, 10E. 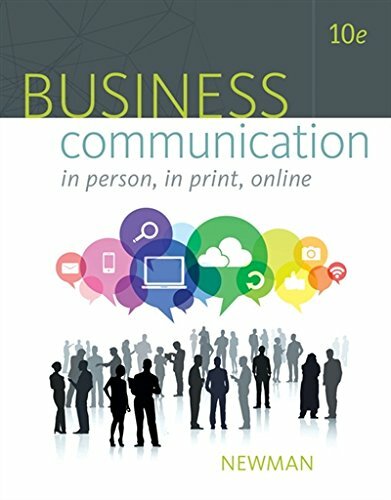 This book covers the most important business communication concepts in detail and within the context of how communication actually happens in organizations today. Company examples and situations keep students engaged while demonstrating how principles work in the real world. In addition to core written and oral communication skills, students learn to navigate complex relationships and use current, sophisticated technologies. Students also become skilled in creating PowerPoint decks, managing their online reputation with LinkedIn and other tools, engaging customers using social media, leading web meetings and conference calls, and more. Self-reflection questions throughout the book help readers develop a deeper understanding of themselves and how to communicate to reach personal and professional goals.